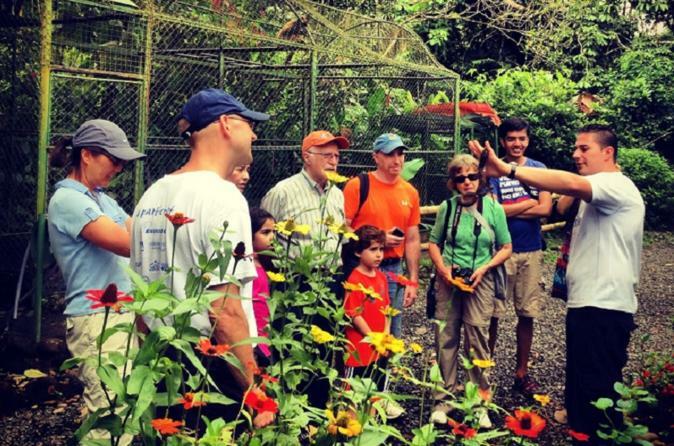 This tour is a once-in-a-lifetime experience and educational opportunity for you to learn about Costa Rican wildlife while volunteering. It takes place at a Wildlife Rescue Center close to La Fortuna. It is the perfect activity for individuals, couples, families and groups. Volunteer and have fun as you see and interact with wild animals. Experience the Costa Rican rainforest by boat! On this full-day tour in Arenal, observe Costa Rican wildlife in its natural habitat as you cruise down the Peñas Blancas River with an expert guide. If you're up for adventure, this is the perfect tour for you! See another side of Costa Rica by spending 4 hours experiencing the best of this Central American country’s wildest nature. 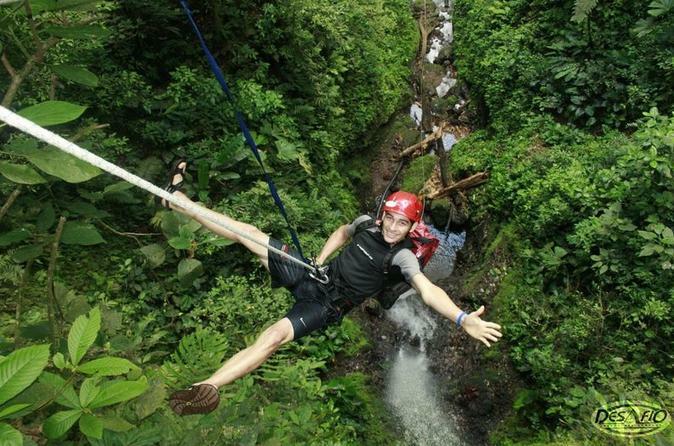 Get ready for adventure and go canyoning in the jagged landscape of the Lost Canyon, near the Arenal Volcano. Rappel down cliffs next to three waterfalls and dip into refreshing pools, hike through the lush, verdant rainforest, and learn about the geological history of the area. Plus, enjoy a delicious, authentic Costa Rican lunch. The tour includes hotel pickup and drop-off. Enjoy a wonderful outdoor adventure including two great activities in Arenal. If you have limited time or simply you don’t want a full day tour; this one is specially designed for you. It will allow you to see and explore the beauties of the rainforest on a hike in Arenal Volcano National Park and by visiting La Fortuna Waterfall. Your tour includes hotel pickup and drop-off. With the view of the majestic Arenal Volcano, enjoy the sweetest rainforest experience, discovering the ancient secrets of chocolate: from its discovery and use, in tropical America, to the processing of the product we know and enjoy today. A hands on program, that lets you eat all the chocolate you want. 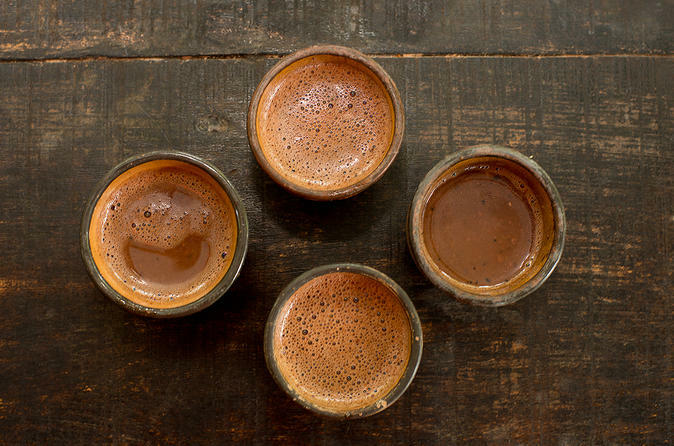 Enjoy this journey through the history, culture, traditions and the flavor. 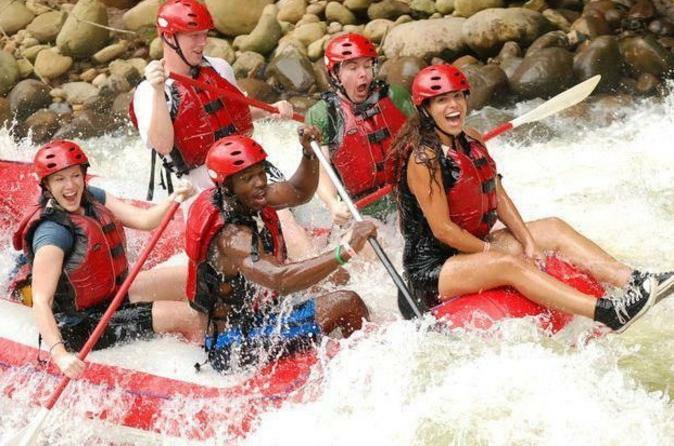 Paddle through Class II and III rapids on this white-water rafting tour down the Rio Balsa in Costa Rica. 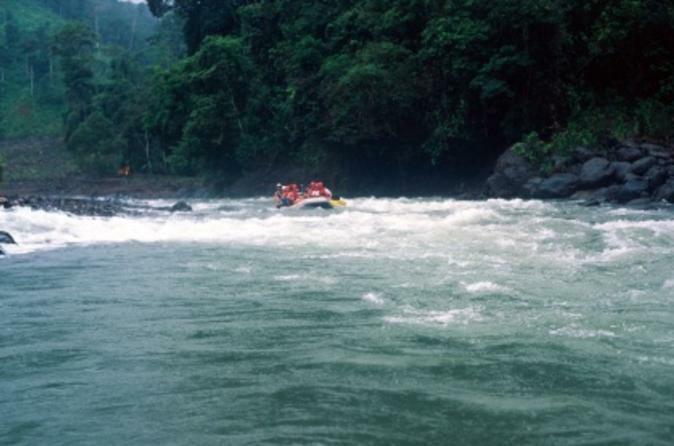 On this 4-hour trip, your guide will lead you down the easy and exciting rapids that flow through a rainforest. 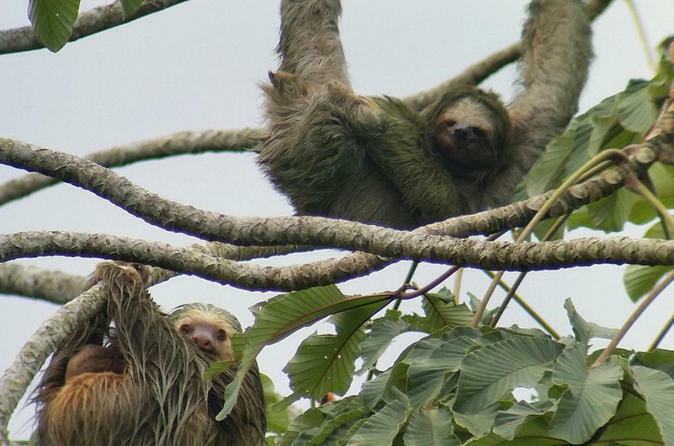 Keep an eye on the land and sky for monkeys, sloths, and birds. After rafting, reward your efforts with a scrumptious lunch at a local restaurant. Bonus: Hotel transport from La Fortuna is included. 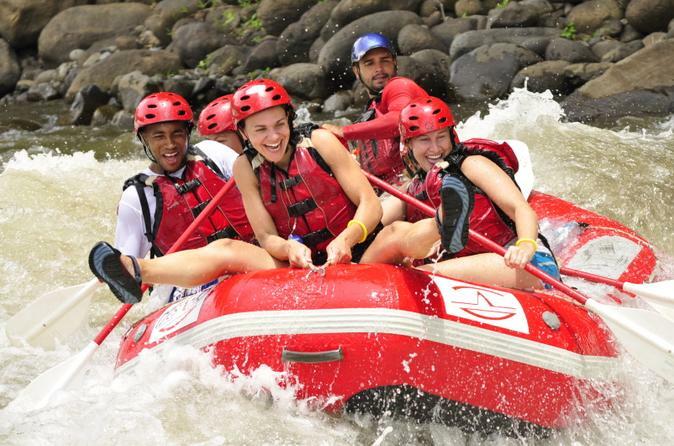 Take a rollicking ride down Sarapiquí River on this white-water rafting tour from La Fortuna. A guide leads your group down Class III and IV rapids that have names like the Terminator and Dos Locos. Take a riverside snack break at the halfway point and after you're done riding the rapids, refuel with lunch at a local restaurant. Bonus: Pickup and drop-off from La Fortuna hotels are included. Hike around one of Costa Rica’s most famous volcanoes on this half-day tour. Get an up-close look at the Arenal Volcano on a moderate round-trip guided hike and enjoy spectacular views of the beautiful Costa Rican landscapes. 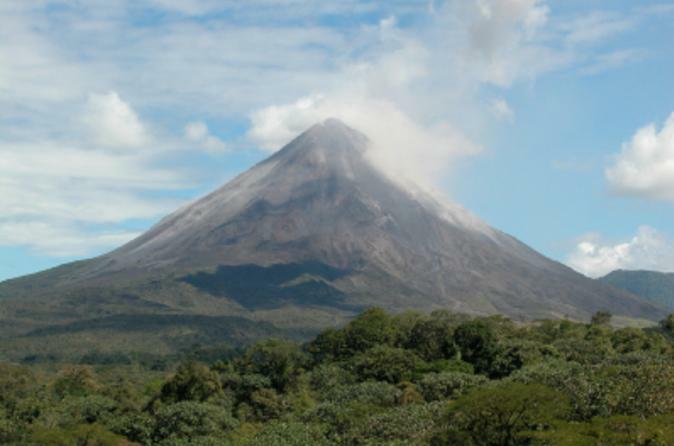 Experience the beauty of Arenal on this exciting outdoor adventure! 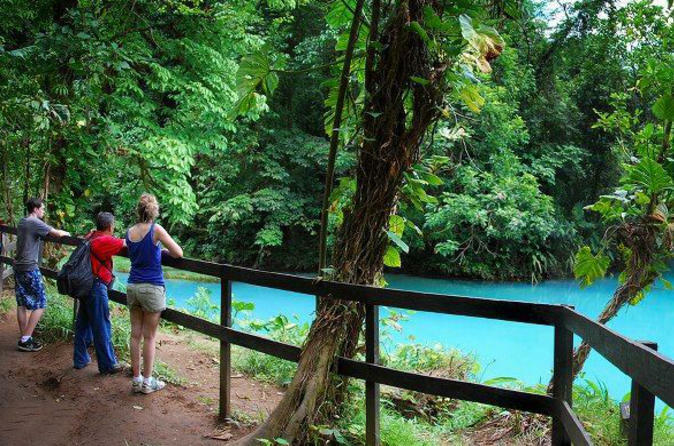 Discover the celestial blue waters of Tenorio Volcano National Park on this day trip from La Fortuna. Trek through a jungle, learn from an expert guide about the rainforest’s plant and animal life, and come upon Río Celeste waterfall and its glowing azure lagoon. Find more magic at Los Teñideros, where two rivers merge — and watch the water turn turquoise before your very eyes. Uncover the secret behind this transformation and after the hike, tuck into a delicious lunch at a local restaurant. Air-conditioned hotel transport is included. 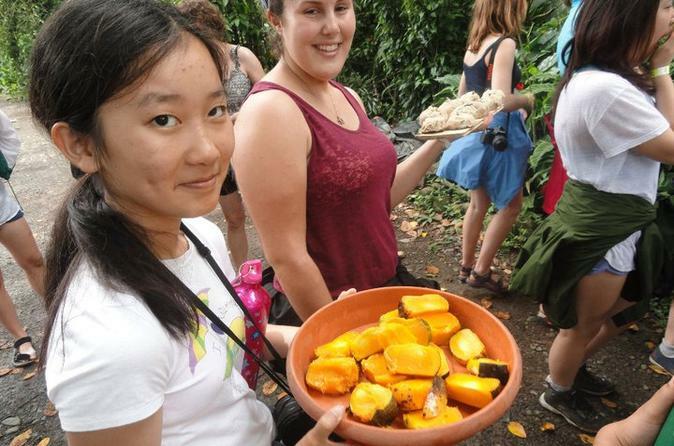 This is an educational tour at a Wildlife Rescue Center located close to La Fortuna. It is a great chance for you to see wild animals, visit their enclosures, learn about the conservation efforts and have fun. It is a perfect, family friendly activity for all.